Apricot Kernel Oil: (Prunus Armeniaca) Apricot kernel oil is extracted from seeds of Apricot. 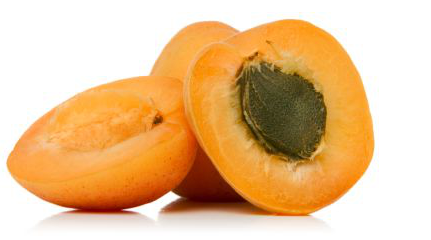 The INCI name of the apricot translates to 'Armenian plum", although it is believed that Apricots originated in China. The ancient Greeks claimed to have used Apricots, and we know that English settlers obtained apricots from trade routes to the far East, and transported them to the United States in the 17th Century. Apricots are not only delicious to eat, but the kernels (seeds) are a rich source of Phytochemicals, Oleic and Linoleic acid, Vitamin E, and other healing compounds, such as Beta Carotene, Catechins, and Chlorogenic acid. The oil pressed from the kernels has been used in traditional herbalism for centuries with many applications ranging from skin care to treating tumors in Chinese medicine. Here at PuraVeda Organics, our primary interest is in topical therapeutic applications.. and so we use Organic Apricot Kernel Oil for it's Anti-Inflammatory, Anti-Aging, Anti-Bacterial, Anti-Oxidant, and Emollient properties. A light-weight, fast absorbing oil, Apricot Kernel extract is an excellent 'Carrier Oil' which helps deliver other critical skin actives deeper into the dermal layer than they might get on their own. In Hair Care, this oil is an excellent detangler, strengthening agent and shine imparter.